Mike has been instrumental in growing the Colliers International/Wisconsin office to be one of the largest full service real estate companies in Wisconsin employing over 100 employees with operations in Milwaukee, Madison and Fox Valley. Over the past 22 years, Mike has completed nearly 700 transactions worth $600 Million Dollars throughout Wisconsin and Minnesota. Mike has served as Past President of the Building Owners and Managers Association of Wisconsin (BOMA-WI) and is currently a Board Member of the Commercial Association of Realtors – Wisconsin (CARW). 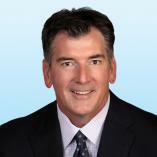 Mike continues to provide full-service real estate solutions for many corporate clients.